Skype’s text, voice and video make it simple to share experiences with the people that matter to you, wherever they are. Amazon Chime is a communications service that transforms online meetings with a secure, easy-to-use application that you can trust. Amazon Chime works seamlessly across your devices so that you can stay connected. You can use Amazon Chime for online meetings, video conferencing, calls, chat, and to share content, both inside and outside your organization. Why do developers choose Skype? Why do you like Skype? Why do developers choose Zoom? Why do you like Zoom? Why do developers choose Amazon Chime? Why do you like Amazon Chime? What are the cons of using Skype? What are the cons of using Zoom? What are the cons of using Amazon Chime? How much does Amazon Chime cost? What companies use Amazon Chime? What tools integrate with Skype? What tools integrate with Zoom? What are some alternatives to Skype, Zoom, and Amazon Chime? It seems like this meeting software requires all users to download Amazon Chime. To do that they have to confirm their email. To install Amazon Chime they have to have an Amazon account. If the email they entered earlier does not match their Amazon account email, then they have to confirm their email again. Too many steps. It took about 20 steps to actually start a meeting. After that I had to walk someone else through the steps so that they could actually join me in the meeting. I sometimes need to do online meetings with clients who have zero technical skill. Why do I have to add a contact before inviting them to my meeting? Just let me invite people to my meeting. They force all new users to join the free pro trial and then try to upsell once trial is over. It auto-starts when Windows starts and I cannot find a setting to turn this off. Cannot be seemlessly integrated in a web app. I never thought I would say this but Skype does a better job even though it is difficult to close and displays annoying ads. Amazon Chime seems like a poorly implemented Skype knock-off created in a dorm room without all of Skypes features. Maybe the backend is amazing, but smooth video streaming doesn't matter if the user is still jumping through hoops. 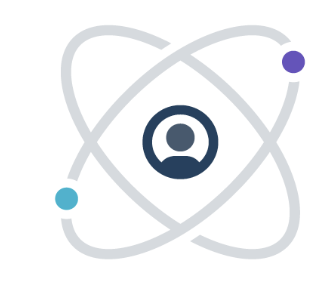 Zoom is a video conferencing service that helps us work as a remote team. We typically do quick one-on-one meetings with zoom, and a weekly group huddle where we can share our screens and see everyone on the conference in a grid view. One of the reasons we prefer it over other solutions is that it has a really great screen share and remote control feature. The video quality is very high, and as a remote team we can do the occasional pair programming with remote control feature. We are using Skype to help your customers in realtime. Sometimes you need to chat or talk with customer right away and this is best option for us right now. Skype is one of the better methods I've found for IM communication, and most of my clients have it. Mostly use it when there is a need for screensharing. Skype is far by one of the best video calling apps I've ever used(After Google Duo) It has a very simple User Interface, hence is a favorite of mine. Allows us to communicate with our employees who are all in different countries when they are not logged into Slack. Also used to vet new employees.